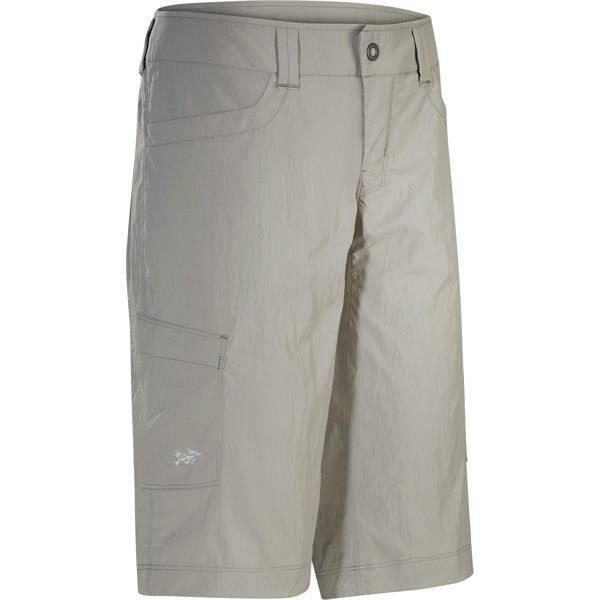 Walk along the beach or boardwalk in comfort and style, with the Parapet Long Shorts from Arc'teryx. 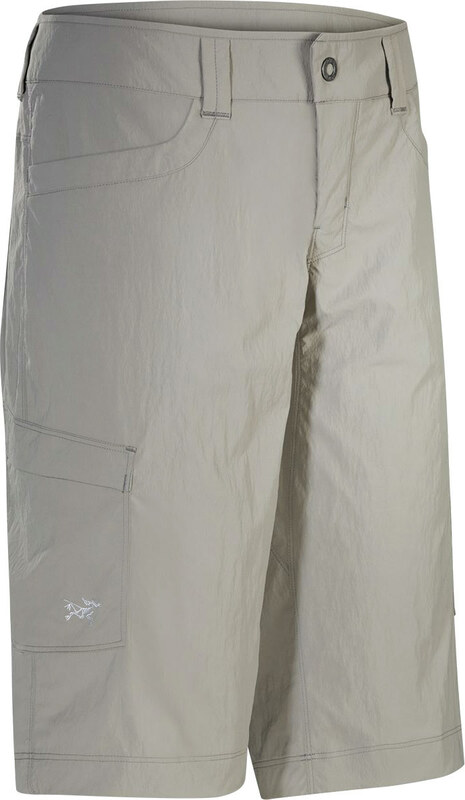 These women's long shorts feature an extended leg design in light gray that falls just past the knee, for a look that is perfect for summer. A breathable lightweight cotton blend provides a comfortable wear that is made to last, with quick-drying qualities that help keep you dry. Hand and rear pockets provide a convenient place to store items, while a gusseted crotch and trim fit offer unrestricted mobility. The waist-snap closure ensures a snug fit every time. Pair with your favorite tee and sneakers, for a look that will have you feeling great and looking better.